A tax, super and fintech expert, Linda Wilson applies technology and best practice to guide process improvement for Dixon Advisory. 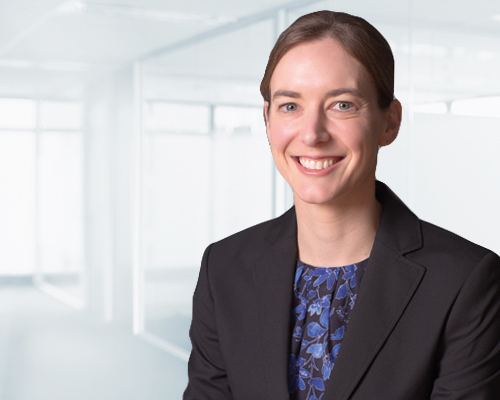 She applies her strong technical expertise to navigate legislative change and support the firm’s Advice Committee to tailor proactive strategies for clients. Linda also contributes towards the firm’s proactive advocacy efforts on strategic issues. Linda believes the firm’s approach is unique because everyone is totally focused on the client. She says, “We are very proactive and quick to act. We invest in state-of-the-art technology and develop custom systems to facilitate advice all the way through to implementation. The outcome is quality strategic advice delivered to clients in a very personalised way”. Linda is especially proud that the firm’s commitment to client service is so authentic. She says, “The ethics of our firm is unquestionable and the integrity that we operate to is of the highest standard. Our leadership group is genuinely committed to supporting clients, which means we develop relationships built on trust and confidence”. Linda brings a wealth of technical, tax, financial, compliance and accounting experience to Dixon Advisory. Through her tenure, Linda has gained extensive and diverse experience through leading the Technical Services and Compliance teams and has authored articles on issues affecting self managed super funds (SMSFs) and prepared numerous submissions regarding the impact of government proposals. Linda joined the firm after years of providing business services and taxation advice to a range of public and private sector entities. Linda is a Chartered Accountant and SMSF Association SMSF Specialist Advisor™ and holds a Bachelor of Business and a Diploma of Financial Services (Financial Planning).